To improve parking demand, encourage visitors to spend time in local Palm Beach businesses and enjoy the local area, we have made changes to parking conditions in the Pittwater Park carparks. We have made these changes after a comprehensive consultation period with the community. If you’re visiting Palm Beach or taking the ferry, the best way to get there is by public transport transportnsw.info. If you need to drive, leave your car in our seasonal carpark at Careel Bay playing fields and catch the 199 to Palm Beach. 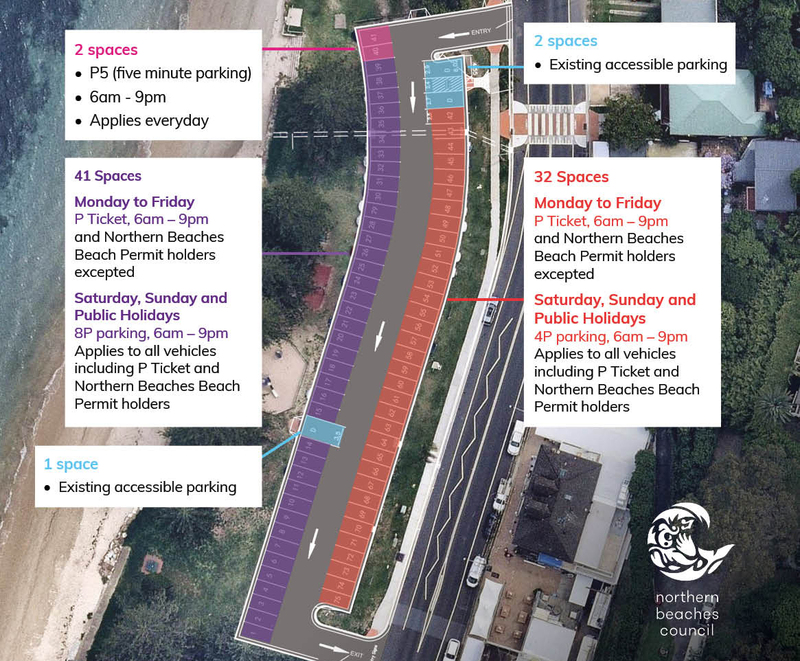 Spaces in the Pittwater Park carpark (south) are now limited to four and eight hours when you display your Northern Beaches Beach Parking Permit or purchase a P Ticket on weekends and public holidays. Two P5 (five minute) parking spaces have been provided so that travellers can unload their vehicles near the ferry wharf and move their vehicles to a longer stay area. 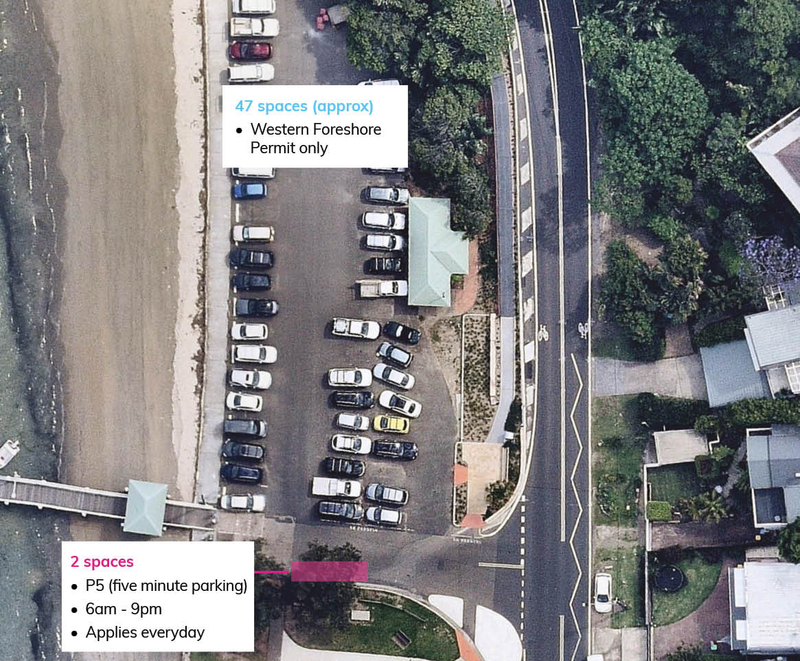 Parking conditions remain the same in the Pittwater Park carpark (south) Monday to Friday but if you are planning a longer stay then you will only be able to purchase P Ticket parking for a maximum of five days up until Friday of that week. If you are camping at the Basin or visiting Currawong this summer, please drop your camping gear at the ferry wharf and leave your car at the long-term parking at Careel Bay playing fields.